There's nothing better than eating fresh out the water seafood! Our neighbor this past weekend offered us an extra Peacock Bass (or also known as a Butterfly Peacock). Below is a bit of information on this Florida nonnative species. 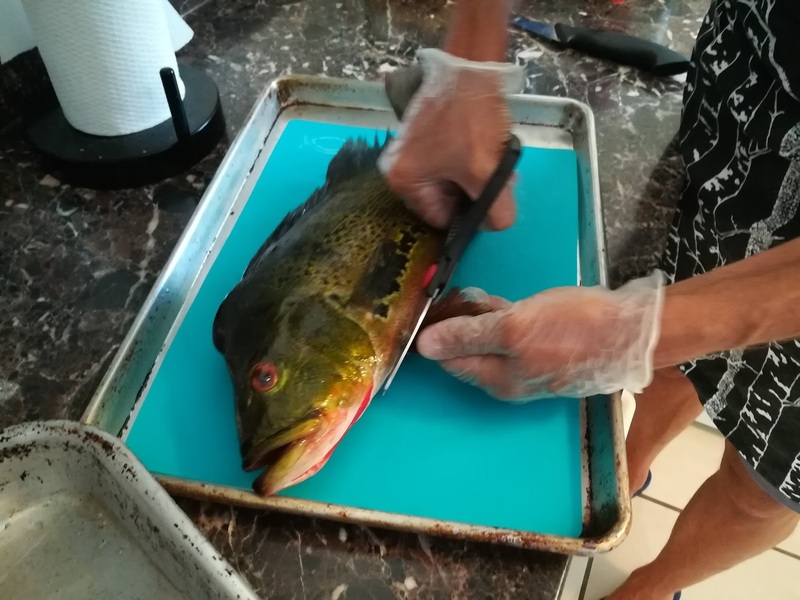 If you are in south Florida, you REALLY need to try this delicious fish. It is very dense and exceptionally mild. The usual way to cook them are to saute with butter, garlic and lemon. 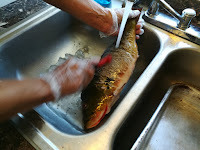 Here's a tip, descale your fish under running water. The helps reduce the flying scales. Another tip is to use a vegetable peeler if you do not have the proper tool. 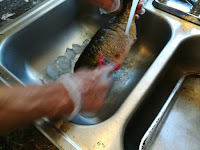 Note, we descaled our Peacock Bass but it was not needed as you filet them and then skin them. Their skin is exceptionally tough and discarded.